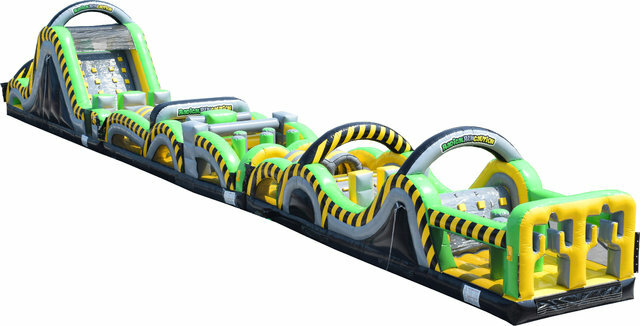 Who's ready for the ultimate 100' Double Lane Radical Run Caution Obstacle Course? Race through 100' feet of obstacles ending with a 16' slide at the end. This obstacle course is great for school field days, church events, company picnics, after proms and more! This is a new addition to our wonderful selection of items for 2018! If you really want to take your event to the next level, pair this bady boy with our Extreme Wrecking Ball!! !